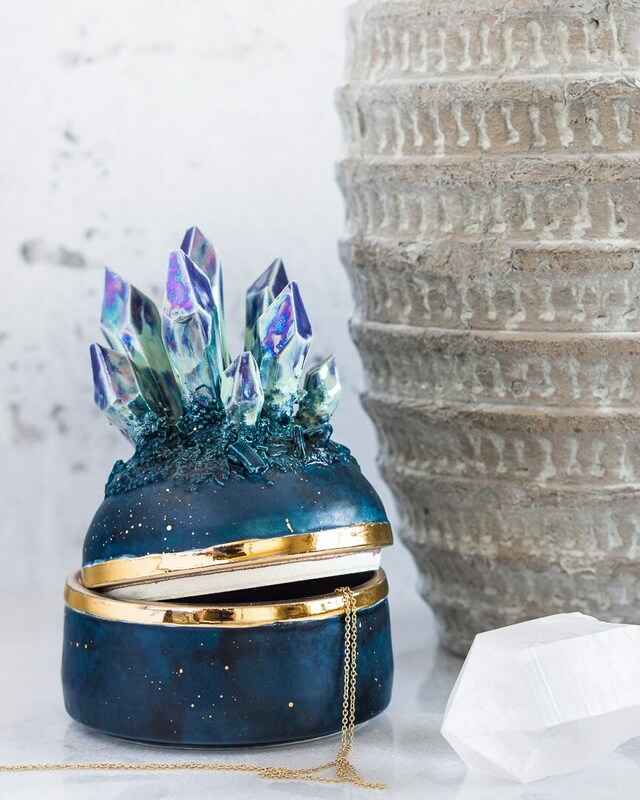 The most special jewelry box you could ever want! This is a treasure piece that will be passed down through generations and hold special keepsakes safely. This piece is wheel thrown and each porcelain crystal hand carved and placed with love!